Architect: Rothko, Mark; Johnson, Philip, et al. Mark Rothko, one of the United States’ greatest mid twentieth-century painters, was born in Russia on September 25, 1903 in what is now Daugavpils, Latvia. 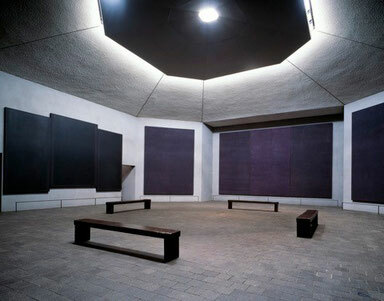 The suite of fourteen paintings in the Chapel, completed in 1967, were created at the height of his career and toward the end of his life. They are illuminated by natural light, so important to the artist, which accurately shows the nuances and subtleties of Rothko’s color palette.